How would you like to be able to start your own business without having to spend a lot of money? Well, you can, and no, it isn’t some sort of get rich quick scheme. If you are good at sales and you enjoy dealing with the public, a career in real estate may be just the thing for you. In order to become a real estate agent and start your own business, all you need is a license exam course and testing. That is the only expense, unless of course you decide to set up a home office, which also is not overly expensive. Let’s take a look at some of the many benefits of a career in real estate. How much your business grows, and how quickly, is totally up to you. There are no limits for growth in the real estate world, and as long as you have good marketing skills and the right attitude, you can be sure of earning a decent income. The more you want to work, the more money you are going to make. Your growth is totally up to you, even when the housing market is slow. One of the great things about the real estate business is that it is never going to go away. This means that there is always going to be a need for talented real estate agents, and you will never have to worry about being unemployed. Yes, the economy fluctuates, and housing markets aren’t always the best, but you can still make good money if you are good at what you do. If you are a people person and you love working with the public, real estate may just be the ideal career for you. “Over the course of your career, you will be meeting people from all walks of life, and helping others find the homes of their dreams. You will also be gaining several great business contacts, and if you do your job well, a number of repeat customers and recommendations,” says a real estate sales manager at Sky Five Properties. You can plan for your retirement by developing a brokerage business that can be structured for sale at a later date. As long as your business grows and prospers, you can sell it when you are ready to retire. Basically, your real estate business can be a part of your retirement savings plan. One of the most satisfying things about being a real estate agent is knowing that you are helping others to achieve their dreams of home ownership. 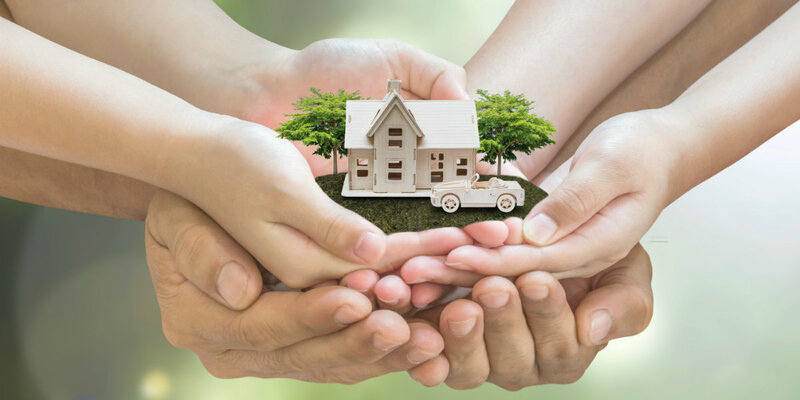 Whether you are working for clients who are going to be first-time homeowners, or older couples who are looking to downsize in their retirement, you are supplying a need. Real estate is a career that you don’t have to get into at a young age. In fact, you will find that many retirees are supplementing their incomes with part-time real estate careers, even though they had never been into real estate before. As long as you can take the course and pass the test, you can become a real estate agent at any time. As a real estate agent, you can enjoy a lot of freedom in your life, and your time is your own. Develop relationships with other agents in your office who have similar work ethics and do things in a similar manner to yourself. If you want to take time off, you know that your clients are going to be in good hands while you are away.